CML’s range of RF products are well suited to a diverse selection of applications either voice centric or data centric; RF systems with a wide range of channel bandwidths, output powers, modulation types etc. are supported. 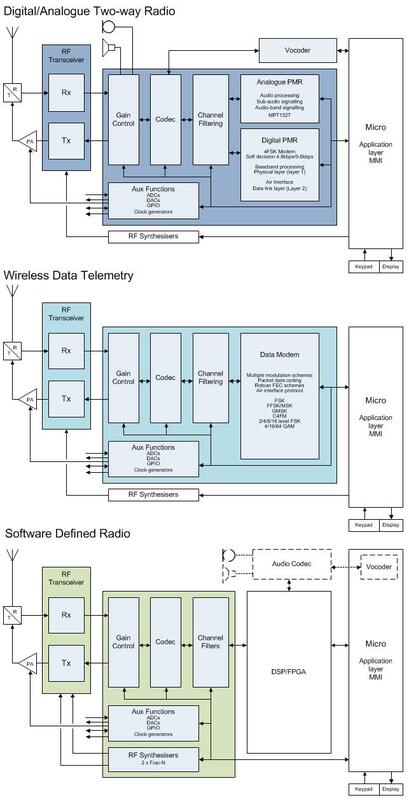 The interactive diagrams below show examples of typical system architectures for high integration implementations for: Digital /Analogue Two-way Radio (TWR), Wireless Data (WD) telemetry and Software Defined Radio (SDR ).